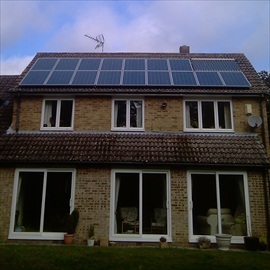 Description: ”We were on the point of appointing a solar installer when we were recommended to obtain one more quote from Williams Renewables. They came up with a setup for our house that seemed, to us, to be tailor made and at a competitive price. Rob Williams was very capable in addressing my various technical concerns. On his recommendation, sixteen Day4 Energy 60MC-1 panels were installed on our roof giving us a solar generating plant of just shy of 4 kW. 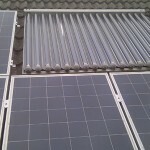 These panels, feeding into a Sunny Boy 4000TL inverter (which I am able to monitor on my computer through a Bluetooth dongle), have given us a neat and effective setup. Williams Renewables were very efficient. 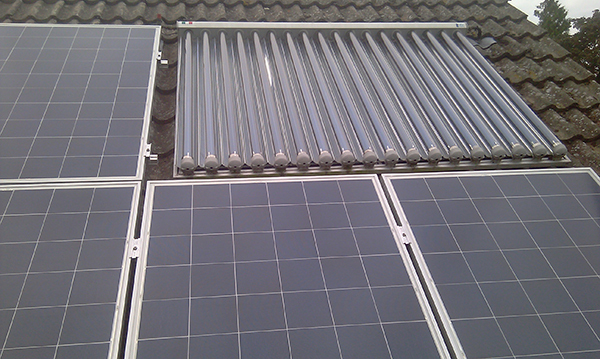 They installed the system in 3 days with a minimum of disruption and to a high standard. The paper work throughout was good (the best experienced), clear and comprehensive and I had a comprehensive understanding of the options available. This hardware combination was the most impressive that I had been offered to date (three other quotes).